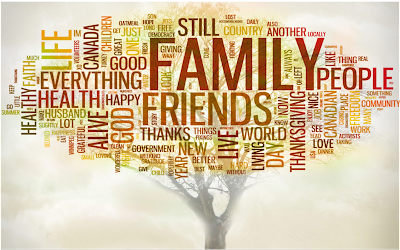 Thanksgiving to me is about family and one of my favorite days of the year. It's a time where family our family come together and, prior to dinner being served, we have to state what we're most thankful for. As a child, I used to be nervous when it was my turn and didn't know why I had to do it. Now, I love the tradition and, of course, my children do it to. Thanksgiving isn't just about what you're putting on your dinner table and how you're decorating it. Think about what you're thankful for, what you're giving to your community, or what traditions and legacies you're passing down to your children. When I saw this photo, I thought it spoke the perfect Thanksgiving message. HAPPY THANKSGIVING from my family to yours!